Thank you all for your support these past few days. Life is better. Partially, that's probably just because it's sunny out, which automatically makes it all seem more manageable, but also because it honestly is better. Things get better with time. And sleep. Sleep helps. 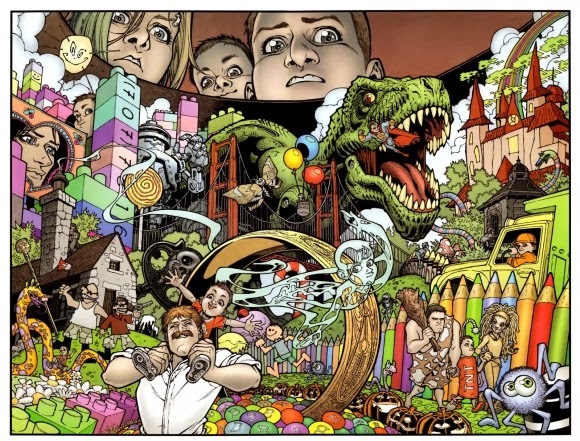 Now, admittedly, this series, Locke and Key, is precisely the kind of depressing, intense, death-filled story that I was complaining about on Monday. I read it last week, and it certainly didn't help with the funk. But then I finished the story, got to the end, and I have to say, I do actually feel a lot better. Why? 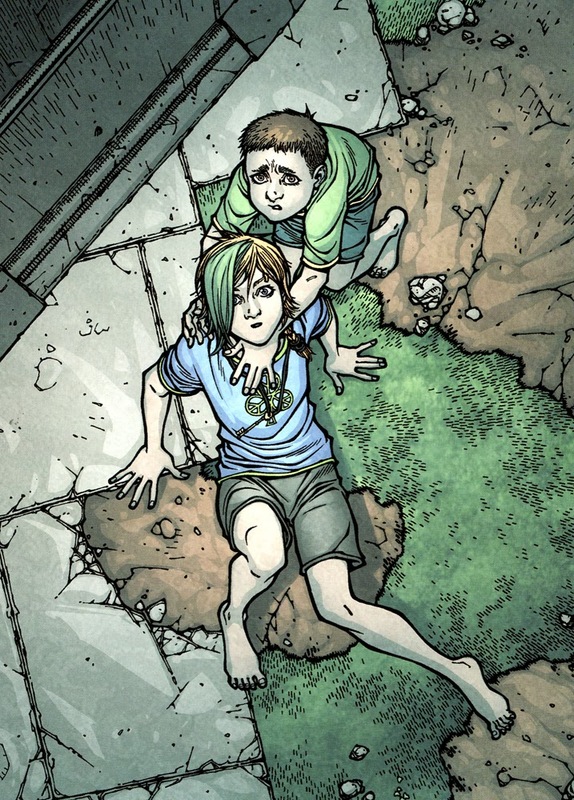 Because in Locke and Key, as with most things, it's the ending that makes the story. 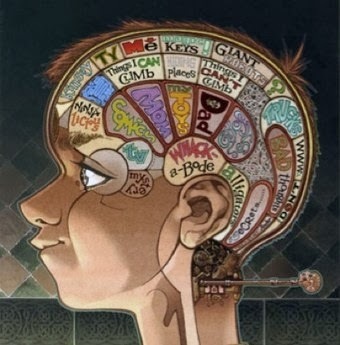 So, Locke and Key, by Joe Hill and Gabriel Rodriguez, is one of those comics series that if you're vaguely in the comics community you've probably heard of, and been told you should read, but then you didn't because who has time for that? Or maybe that's just me. Either way, it's fantastic. The story follows the Locke family, who, in the wake of a brutal attack at their summer house, uproot from California and move back into the ancestral home in Lovecraft, Massachusetts. And in case you can't tell from the name of the freaking town, yeah, this is a horror story. The attack, which left the family patriarch, Rendell, dead, and his wife, Nina, traumatized, is most felt through the stories of their kids, who are struggling to adapt and survive in their new life and new school. There's Tyler, a pretty average high schooler forced to grow up really fast when he realizes that it was an offhand comment from him that led their attackers, both of whom went to Tyler's school, to target his father. There's Kinsey, who has no idea how to relate or cope or even deal with the tragedy that threatens to overwhelm her family. She wants to be strong, but ultimately she's not sure she likes the person she is when she is that strong. And then there's Bode, who is probably seven or so (I am terrible at gauging child ages), still a kid, who doesn't understand the reality of what's going on around him, but who is by and far the most capable of coping with tragedy and weirdness and the horrors that life can bring. Because trust me, there is horror. So after their family is attacked, and they move way the hell across the country, the Locke family is still plagued by death and disaster. First their attacker manages to track them all the way to Massachusetts and try again to wipe out the Locke family. Then their uncle's partner nearly dies, hit by a car outside his house. Oh and there are all these "accidents" and "freak tragedies" that just well up in the town. A local teacher commits "suicide". The track coach goes insane and then mysteriously recovers. You know, comforting stuff like that. Of course, the real story is one that goes a little deeper than freak tragedy and "accidents". It turns out that all of this, from the attack on, is the work of Dodge, a malevolent spirit trapped in the wellhouse at Keyhouse (the Locke's home). Dodge is magic, and evil, and deeply crazy, and also determined to open The Black Door, which can only assume is a really bad idea. Dodge is the one who sends an attacker to take out the Locke family. Dodge is the one who kills the teacher, who drives another insane, who escapes the wellhouse and brings chaos and blood wherever he/she goes. And it's up to the kids to fight. Did I mention that there are keys? I think I forgot to mention that. Dodge's goal is to open the Black Door, sure, but to do that, they need the key to the Black Door, which is hidden. And to get the key, they need a lot of other keys. These keys can do anything, it seems. Open your head so that you can rummage around (that's how Kinsey conquers her fears: she removes them). Allow you to turn into an animal (Bode particularly likes being a bird). Even let you open any door to any other door (which is how Dodge manages so much mischief). The keys are the secret of Keyhouse, a secret known only to kids, who forget when they grow old. And that, as it turns out, is the key to this whole thing. Get it? Key? Heh. Anyway, SPOILERS for the main plot now. It turns out that Dodge isn't some random malevolent spirit, nor is what's happening, the endless death and destruction, unprecedented. It is, in fact, utterly dependent on the past, and particularly on the actions of Rendell Locke, the kids father, and the man who dies in the first five pages of the story. Back when Rendell was a teenager, he and his friends were the keepers of the keys. They were sweet and relatively innocent, except in the normal teenagerish ways, and they were, most importantly, happy. Until they reached too far. Until they tried to keep the power of the keys for themselves, after it was time for them to give it up. Remember how the keys belong to children, and how adults really can't use them easily, or remember them? Nina and Duncan (the kids' uncle) both become aware of the keys at various points in the story, but they have trouble remembering, like the whole concept is slippery. The kids, however, have no issues there. What Rendell was trying to do was prolong their access to the power that the keys give. He was trying to remove the limitations. And to do that, he needed to make another key. A special key. One that would unlock their ability to remember the magic. Which meant he had to open the Black Door. That's how this whole mess started in the first place. He opened the Black Door and something crept inside one of his friends, a little touch of evil, that took root in Dodge's soul and made him into the spirit of vengeance and destruction that tried to end the Locke family. All of that is important, sure, but what's more important is what happened later. With the kids, the ones who were asked to pay the price for Rendell's hubris. They were given the same choices: did they want the power to go on? Did they want to be known for this? Did they want to live in a world fashioned by the keys? And the answer is the most important part: no. They didn't. When Kinsey, Tyler, and Bode, are finally offered the opportunity to open the Black Door, or even to use the keys for themselves, while they do indulge to some extent, what they do more than that is use the keys to save their friends. To save everyone they know. When given the choice, you know what they decide? To fight. When Tyler is given the same opportunity that felled his father, the chance to make any key he wants out of the whispering iron, he doesn't make one that will give him more power, or one that will make any girl fall in love with him, or any of that crap. He makes a key that will unlock demons from souls. Rendell took a chance that destroyed his friend. Tyler made the key that saved him. The title up there is a quote from Harry Potter, but Harry Potter is actually quoting from CS Lewis (a fact that I find very funny). Lewis, in Mere Christianity (because I read theology books in my downtime, don't you? ), says that each choice we make is what changes us into either a heavenly creature or a hellish one. That no matter what foundation we start out with, a good one that inclines us towards good actions, or a bad one that inclines us toward bad actions, it is the choices we make from that point on that define who we are. You are the choices you have made. Not your background, but what you did with it. So Rendell and Tyler, for all that they are father and son, for all that they had relatively similar starting points, are actually completely different people simply based on their choices, and the reasons for their choices. Rendell's story is one of falling to pride and doubt. Tyler's story is one of overcoming past actions and growing into the man he is supposed to be. At the end of the book, when all is over, and Tyler is just about to age out of even remembering about the keys, he takes the time to spread mercy. One last important thing. He finds Dodge's spirit, and he sets it free. He finds the memories of a woman left insane, and gives them to her. And he takes the time to listen to the birds. It's not about power, in the end. It's about what you do with it. It's about how you define yourself when you choose to act either rightly or wrongly. And, let's be real, we all know the difference when make those choices. We can lie to ourselves as much as we want (I am particularly good at that), but in the end, we totally know. Tyler is the hero in this story because he sacrificed his pride, and he decided to be a better man. He decided that mercy and justice were more important than revenge or pride, and then he chose to live in accordance with that choice. He may have chosen poorly in the beginning, but I don't think any of us can say that by the end he was not transforming into one of Lewis' "heavenly creatures". And, ultimately, that's why I love this story. It's not the art, which is good, or the action, which is impressive, or even the really cool concept, which is really cool. It's the message. It's the meaning. And it's the choices. 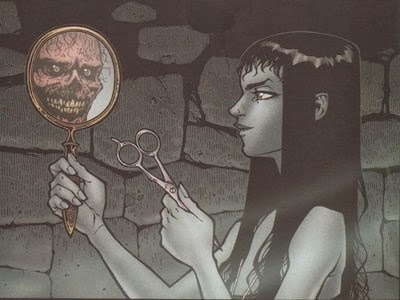 No surprise here but I LOVE LOCKE AND KEY! Horrordork/comic nerd AW YISS.